NARS brings vibrant pops of color and sensual sun-kissed hues to lips and cheeks with the new Matte Multiple. Founder and Creative Director François Nars takes one of the brand’s most innovative and iconic products and adds a modern twist on the cult classic. Available in seven shades from ginger pink to golden bronze, the Matte Multiple features a creamy, lightweight formula that delivers buildable, long-lasting, hydrating color for lips and cheeks. This innovative formula can be applied dry for a soft yet vibrant matte effect or wet for a rich and vivid finish that melts into skin. There are quite a few multi-use lip/cheek combination products in the market, and NARS Multiples are definitely some of the best. 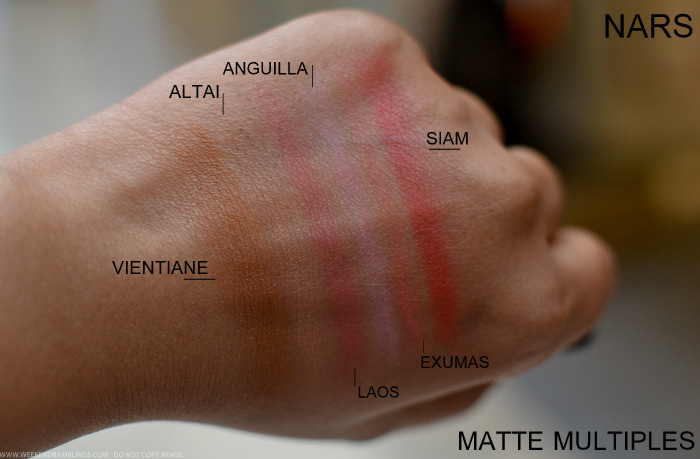 NARS Matte Multiples are the newest additions - same concept as the original Multiples but with a creamy matte finish. 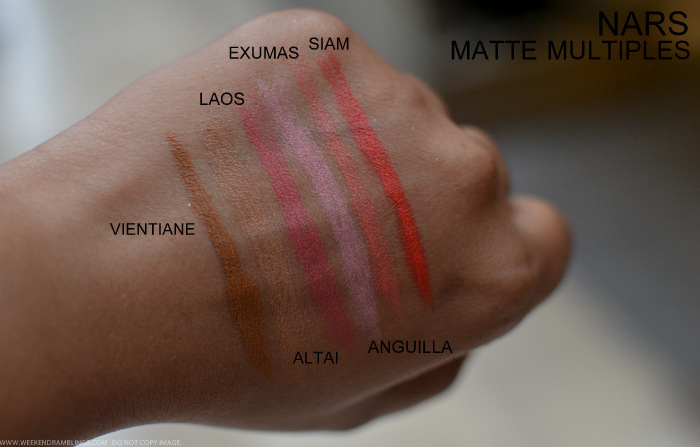 Here's a look at the swatches on my darker Indian skin tone.